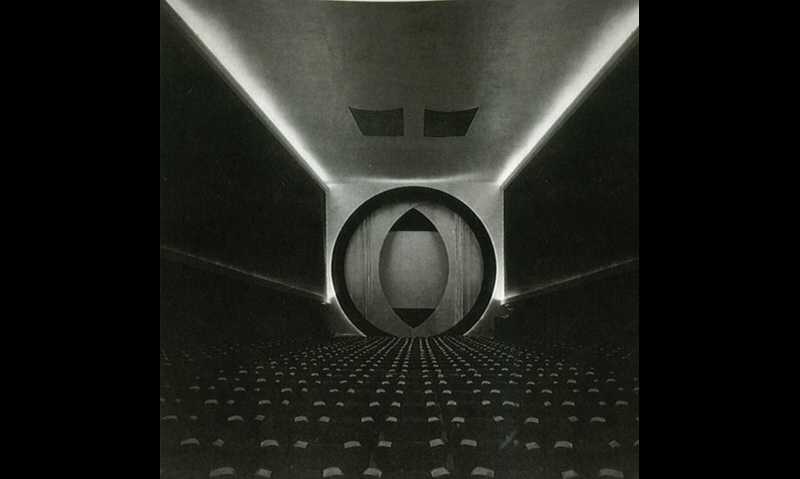 Frederick Kiesler's Film Guild Cinema (1929), with its pupil-like lens and synchronized projection system, was an early but sophisticated example of prescribed behavior in architecture. Interactive architecture, which weaves the electronic into architectural design, will enable architecture to be kinetic. 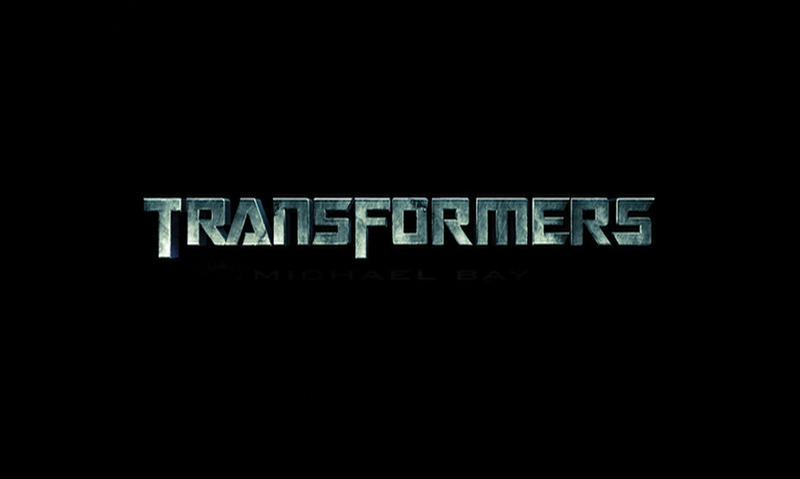 Much like Transformers robots, spaces will change and respond to the needs of their users. UN Studio's La Defense facade in Almere, Netherlands, is coated with a 3M-developed dichroic film that absorbs environmental conditions and reflects them back via a spectrum of colors. In the age of knowledge, architecture is the storyteller. The year was 1969. In what he called an “Unwarranted Apology” for the discipline, architectural theorist Reyner Banham argued that while technological advances have often dictated innovation, architecture has often been late to adapt. His revelation, so obvious today by 21st century standards, was that mechanical engineering and architectural design cannot be separated. Banham sited Frank Lloyd Wright’s Larkin Administration Building as the country’s first example of an hermetically sealed “air-conditioned” building. It successfully created a “well-tempered” environment by collapsing technology and architecture, making it impossible to separate the mechanical operations from its design. If the Larkin Building serves as the 20th century model of architecture—a smart, conditioned space largely controlled and programmatically predefined through the design of its systems—then 21st century architecture has the potential to become more like Transformers robots. By allowing technology to evolve naturally, it replaces static forms that are set and stable with living, interactive spaces that can be many different things to many different people. Instead of being just the venue for storytelling (whether in libraries, churches, theaters, offices, homes, or sports arenas), this intelligent, kinetic architecture itself becomes the storyteller. 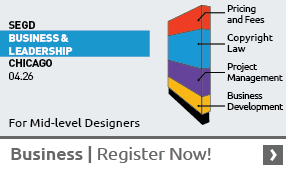 Experience Design is the process of creating these interactive spaces. And this is an unwarranted request for architects and designers to embrace and engage in the design of such spaces that integrate the electronic into the fabric of their architecture. By tracking the evolution of media and architecture—or architecture as media—it is possible to frame the discipline of Experience Design. The tracing is not entirely chronological because innovation does not always move at the pace of time. But it is possible to clearly define three categories of architectural behavior: the prescribed, the responsive, and the interactive. The model of the prescribed is a film. It is a particular kind of pre-conceived story, performance, or event unfolding over time. With a clear beginning and end that are made, packaged, and then received, it is entirely pre-scripted. 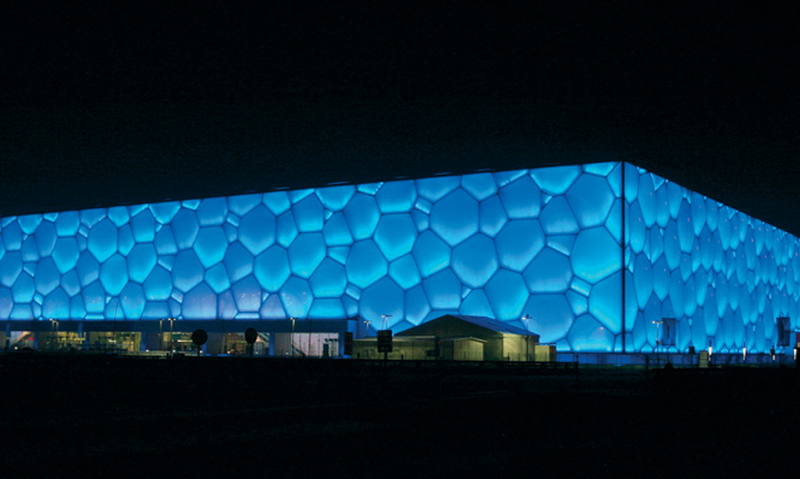 More contemporary examples of prescribed environments include the Beijing National Aquatics Center, which seamlessly integrates projection into its architectural façade, or Thomas Heatherwick’s sculptural Sitooterie restaurant that is activated at night with a pre-choreographed dance of light. While magnificent in their design, these types of prescribed environments are the most common and simplest kind of kinetic architecture. Responsive architecture is most simply defined as a space that responds to its environment but has no agency. It absorbs information from its general environment and responds to it in some way but people cannot actively affect or change its behavior. This passive response allows for no direct interactivity or intelligence. 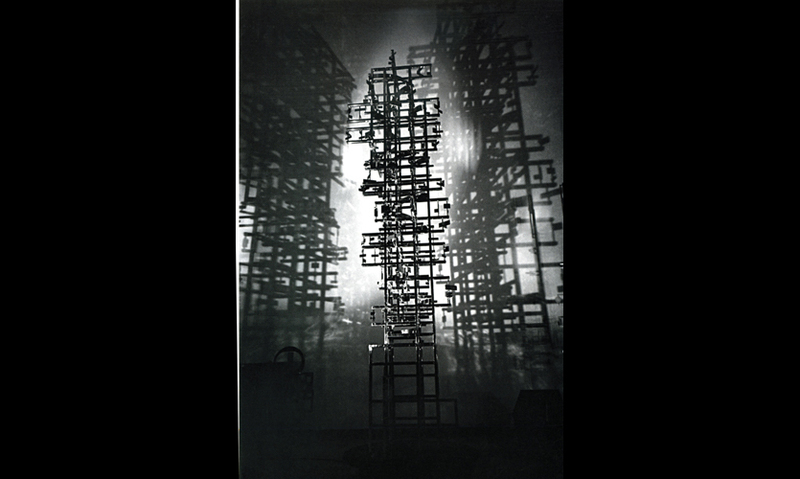 Historically, two spectacular artists who conceived of such projects were László Moholy-Nagy with his Light Space Modulator in the 1920s and Nicolas Schôffer’s 1974 Tour Lumiere Cybernetique of Paris-la-Defense. Both conceived of sound and light sculptures that absorbed data from their environment and translated it into kinetic performances. 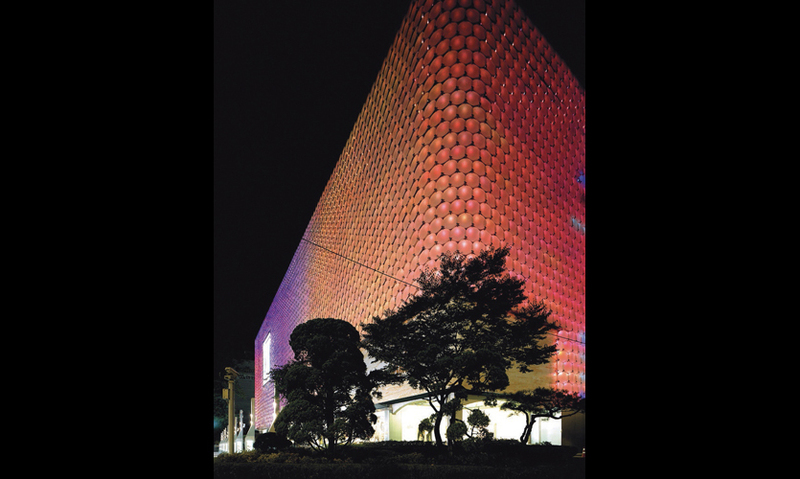 A more contemporary example is UN Studio’s Galleria Department Store façade in Seoul. 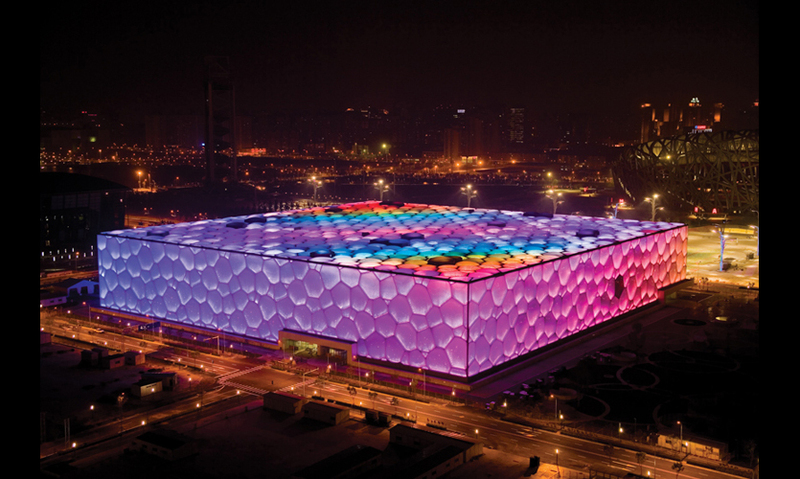 A shimmering LED disk façade constructed of 4,330 glass disks produces unique lighting effects by day and digitally controlled LED light sources embedded within the disks emit transforming colors by night. The performance of the individual disks and the tapestry as a whole respond to their environment by absorbing data from it. The next step, of course, is interactivity. Interactivity essentially means that both people and buildings have agency, enabling the creation of conversations between the two in real-time. A notable historical precedent for this kind of thinking is architect Cedric Price’s 1976 Generator Project proposal for the Gullman Paper Corporation’s retreat in Florida. The Generator, a collection of interchangeable parts integrated into a computer system, allowed for rapid changes of arrangement and configuration. Recognizing that boredom is a characteristic of intelligence, Price proposed for the Generator to make suggestions regarding its own reorganization. As one of the first projects to ever use the idea of a motherboard, this immaterial concept had no way of being actualized in its time, although it embodied the ideas of interactivity and an emotional connection between smart subject and smart object. A more contemporary example from the world of performing arts is a performance designed by ART+COM for the Munich Opera Festival in 2002. Supported by a projection backdrop, the actors wore LED-woven costumes that displayed real-time, computer-generated graphics based on every actor’s proximity to the protagonist. The background, costumes, animations, and other staging elements changed constantly, and were therefore always new by definition. A thousand performances generated at least a thousand unique experiences. Endless variables created endlessly transforming conversations between the protagonists, the supporting actors, the backdrop, and the audience. 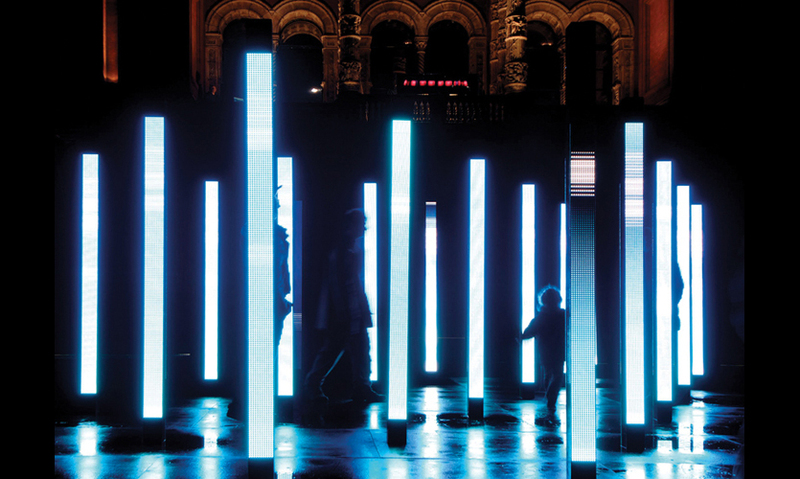 Another more recent example is United Visual Artists’ luminous Volume, a 2006 light and sound installation at the Victoria & Albert Museum. Positioned dramatically in the center of the museum’s garden, a field of light and sound sculptures responded to human movement, creating endless and everchanging audio-visual experiences for its visitors. This interactive piece created a kinetic narrative space that engaged both the environment and its users in active, real-time conversations. Interactive architecture distinguishes itself from prescribed or responsive environments through its ability to create real-time, personalized conversations with its visitors. Whether explicitly through a digital interface or implicitly through smart sensors, the visitors initiate communication. Then, as good conversations usually go, the data are absorbed, processed, and transformed to deliver newly curated information. Such architecture demands intelligence. That kind of intelligence requires two elements: data storage and some sort of data processing capacity. The former serves as a memory, the latter as processing. Only the digital can facilitate these types of conversations. There is nothing radical about this idea. Ultimately and quite simply, the technology of interactive architecture—that is, the creation of personalized special effects—can be only be achieved through the electronic. Material and mechanical effects, commonly accepted to offer interactivity, lack intelligence and the ability to transform in real-time. Here’s why. UN Studio’s La Defense project in the Netherlands uses reflective material effects to create a heightened relationship between architecture and its environment. Coated in its entirety with a unique 3M-developed diachronic foil, the façade absorbs its environment and recursively reflects it back through a spectrum of colors. While not intelligent, the structure responds, magnifies, and manipulates its environment within its skin. An example of the mechanical is Thomas Heatherwick’s Rolling Bridge. Inspired by the Oscar ceremonies’ red carpet procession and operated by hydraulic ramps set in the handrails, the bridge rolls and unrolls. Here, using simple mechanics, the bridge responds to the needs of the city by either opening the water passage or creating a passage for people. In an age when knowledge in the form of curated data is quickly becoming the ultimate and most valuable resource, the electronic—whether in the form of the Internet, gaming, hand-held devices, or smart robotics—is paramount. People are becoming more and more voraciously hungry for personalization on every level, from their shoes and cars to their web and entertainment experiences. If the Ford Model-T was about standardization, and customization is BMW’s 3, 5, and 7 Series cars for their different audience groups, then personalization is designing your own Mini Cooper online. Such fascination with personalization will inevitably migrate into architectural environments and it is only the electronic can truly curate simultaneous, real-time, self-generated personalized experiences. Take, for example, the work of artist Rafael Lozano-Hemmer. His large-scale public art project Under Scan is an installation of thousands of video portraits projected into town squares in England. The portraits are camouflaged by floodlights and are revealed when people pass through the square. 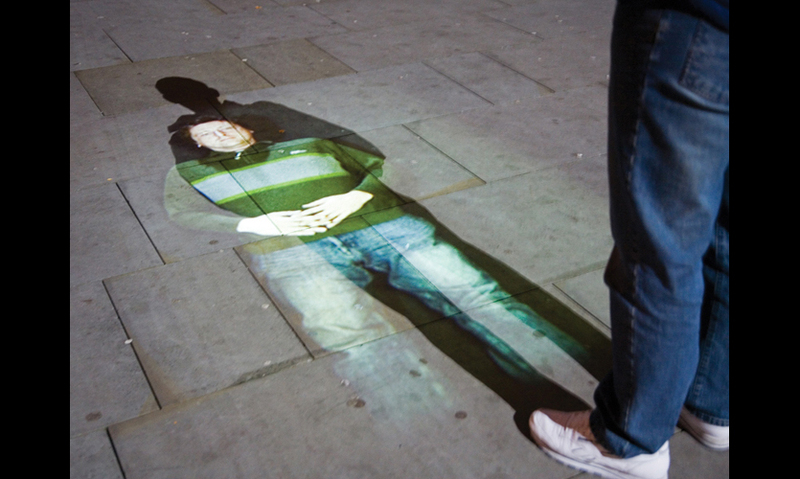 These digital portraits interact with the pedestrians, turning away as pedestrians lose interest and walk away. Under Scan embodies the ideas of interactive architecture: a space that, through intelligent exchanges, creates highly curated, personalized, and reactive responses. These blur the boundaries between the physical and the virtual, engaging the audience in endless conversations. In addition to intelligence in the form of an electronic virtual component, a database backend, and processing power, interactive architecture requires an emergent network. Rather than a literal model, this is meant on the most conceptual level. The only way communication can take place is if there is a point of input and output where information is exchanged. This is a node in the network. And it has to be a network because if there was only one node then no more than one individual could have a personalized experience. Creating an emergent-networked environment simply means a space of multiple touch-points where at each node people can give and receive personalized information. This ubiquitous and transparent network is no different than a cell-phone network or an online-gaming platform. A tangible example is a very conceptually compelling project called Son-O-House, by the Rotterdam-based architectural firm NOX. 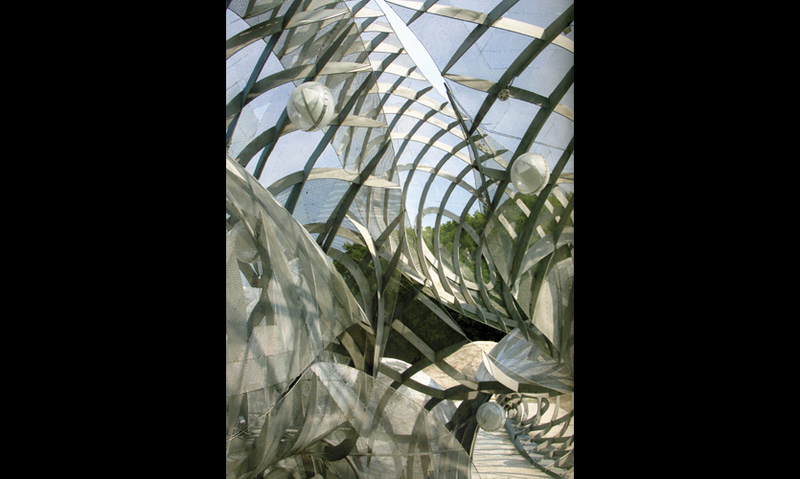 Designed in collaboration with musical composer Edwin van der Heide, this was an acoustic environment engineered into a large sculptural pavilion. Small speakers sprinkled throughout the site collected data about the location and movement of its visitors and fed the information into a computational symphony that was generated in real-time. Essentially, every individual affected the musical symphony so that different people at different places at different times in different locations constantly transformed the soundscape. There was an additional level of complexity. The database saved all the inputs that it collected and added it to its processing, so in a way, a symphony created at any given moment was a collection and memory of every event that had been generated in the space over time up to that moment. This poetic and unique installation could never be the same and enabled every visitor to leave their footprint behind. Although Son-O-House was more of an audio experience than a visual one, it had all the elements of interactive architecture: the digital, the database, the processing, and the network that was constantly collecting and outputting. Furthermore, it embodied storytelling in that the architecture itself was generating the narratives and these narratives served as types of conversations between the visitors and the space. 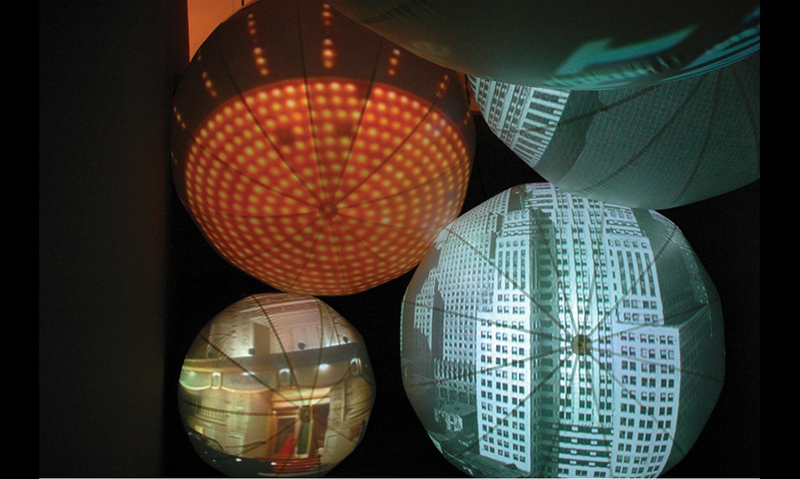 New media and technologies are providing a glimpse of what interactive architecture can be. Now we must build it. There are many compelling reasons why. Satisfying our insatiable curiosity for the new, our increasing demand for personalization, and our hunger for knowledge are a few. Providing the ability to create direct and intimate conversations with each individual, all the while learning about their decision-making habits and interests, are others. Another is pegged to technology. Intel has published a study that confirms Moore’s 1965 law (which states that the number of transistors on an integrated circuit for a minimum component cost will double every 24 months) will continue to be true for at least the next seven years. That means that at least for the next little while, technology will continue to surge in capacity and reduce in cost. Taichi Sakaiya’s book The Knowledge-Value Revolution seems to support Moore’s law. Sakaiya observes that historically and until now, the world has consumed as much technology as it has had available. Given those two premises, it is safe to assume that technology will continue to multiply rapidly and that the world will continue to absorb it at that rate. Reflecting back to Reyner Banham’s words, the implications for architecture are obvious. If up until now a fascination with technology has lead us to populate our spaces with air-conditioners, microwaves, cable and telephone wires, televisions, and other digital playthings, in the very close future—as media become more readily available, powerful, affordable, desirable, and intuitive—our architecture will absorb it into its fabric, like a brick in a wall. 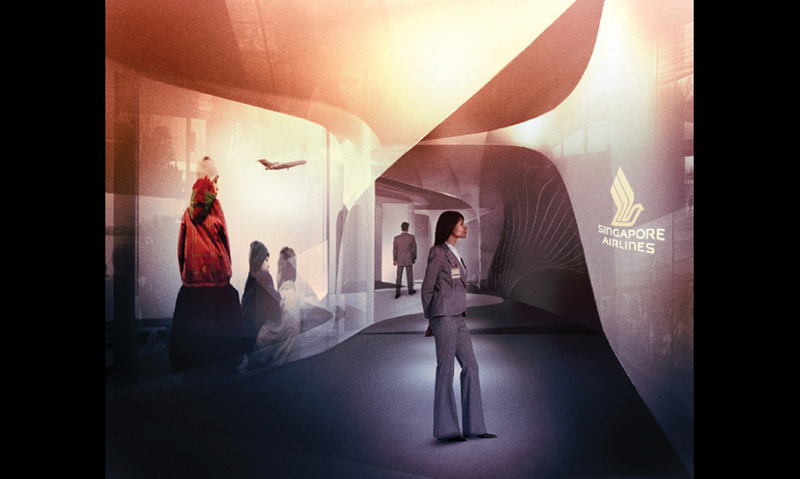 Until now, architectural software tools and previsualization techniques have been used to simulate and forecast reality as a form of prototyping. 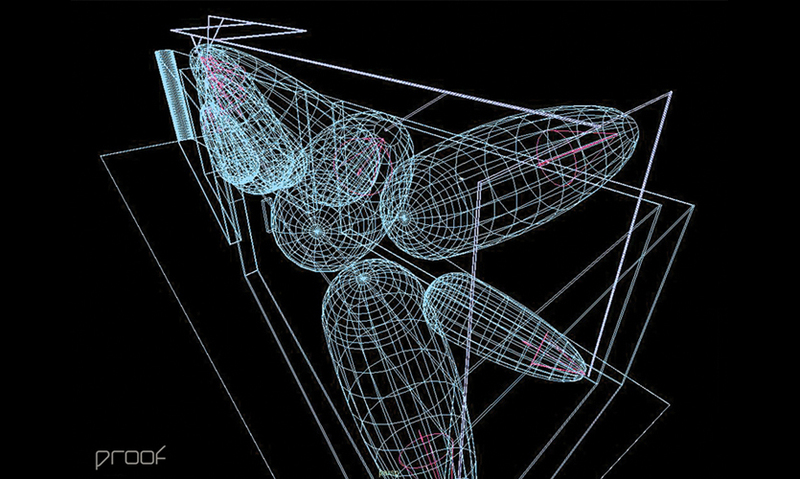 In its next iteration, interactive architecture will become rapid prototyping. In a state of constant flux, it is always becoming something else and is forever learning about itself and how it operates. Rather than searching for the “perfect” space using traditional architectural processes or creating endless models that output a single, static form, now the spaces themselves can learn and always transform to become what they should and could be at any given moment. This conclusion is difficult to ignore. Finally, as technology becomes a part of architecture, we have to embrace the transforming role of the designer. With the creation of interactive experiences, architects are no longer sculptors of form, but instead, in a way they become a hybrid of storytellers, designers, programmers, choreographers, and engineers of something that is always in flux. This new process is Experience Design. Editor's note: Tali Krakowsky is founder of Apologue and was formerly Director of Experience Design for Imaginary Forces. Her projects include immersive environments for the Museum of Biodiversity in Panama (in collaboration with Frank Gehry and Bruce Mau), New City (a commissioned installation for the MoMA), Airbus, BMW, IBM, and the Grimaldi Forum in Monaco. She speaks and writes frequently on the topic of Experience Design.